This advice article explains what Spam is and why you should check your spam folder for possibly legitimate TUG emails! TUG being an online business, sends out hundreds of emails each day to its members. Ranging from New Member welcome emails, to renewal reminders, to classified ad notifications, to the weekly newsletter! Despite being in business for going on 20 years now, we constantly fight the struggle to keep our emails out of your spam folders! 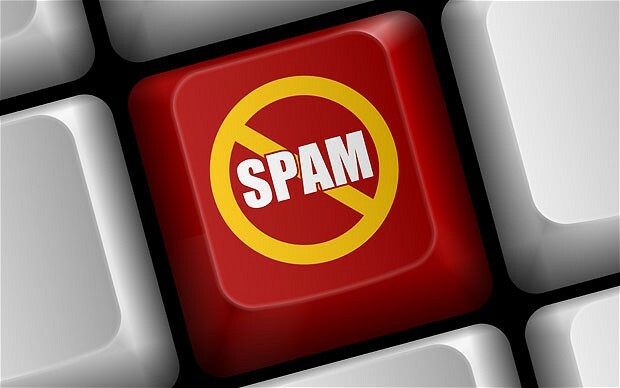 While many folks likely have heard of spam, far fewer actually know how to check their spam folders for legitimate email, and for some...have no idea they even have a spam folder! 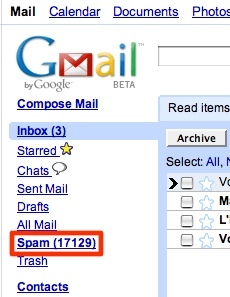 Ok, so what is this Spam thing really? In a nutshell, spam is defined as "Unsolicited Email"...simple as that! It is estimated that 50-80% of all email worldwide is Spam! This is literally trillions of emails that are nothing more than electronic junk mail. Given this enormous amount of junk email, nearly all email systems these days utilize something called a spam filter that attempts to identify messages based on their content, and instead of delivering them to your email inbox, will place them in a special folder called SPAM or JUNK MAIL. The problem with this is that its not actually reading the message, and simply does its best to determine if an email is spam or not, and since nothing is 100% accurate...in many situations completely legitimate emails are inadvertently marked as spam/junk and placed in this special folder vs going to your inbox for you to read! What does this have to do with TUG? Well since TUG sends so much email and we aren't google/yahoo/ford/etc, a lot of times our legitimate member emails get placed in spam folders. Since a good number of folks don't realize or check spam folders for legitimate email, it may seem like TUG is not replying, or you may miss out on classified ad message notifications or renewal reminders etc! TUG makes a point to respond to all emails within a single business day (most much quicker)...so if you are expecting a reply from TUG but not getting it, please check your spam or junk email folder! Where do I go to check my Spam folder? As you can see, these folders are readily accessible from your main email client screen, and should be checked regularly as most default settings for gmail/msn/yahoo etc will purge this folder at regular intervals and the mail is not recoverable at that point! 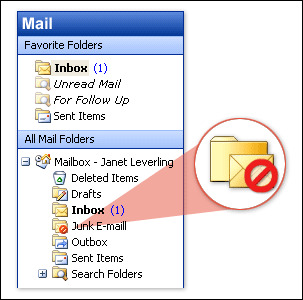 Note if your spam folder is completely empty and you did not manually empty it, it is likely you have your email settings configured to delete spam upon receipt! This means that any email (legitimate or not) considered SPAM will be instantly deleted! We do not suggest this setting, at the very least give yourself 30 days to inspect junk email and ensure you aren't deleting legitimate messages! If you do see a legitimate email in your spam folder, either drag it into your inbox, or click it to mark it as "not junk email" to prevent emails from that sender (for example, TUG) being improperly marked as SPAM in the future! Not a day goes by when we do not get an email/call/morse code message/etc from someone informing us that they did not receive an email that we sent ages ago (new membership emails and classified ad messages for example) that was placed in the individuals spam folder. So please, we urge you to regularly check your spam folders for legitimate emails, you might be surprised what you will find! If all else fails, shoot us an email with your questions, I assure you that we will respond within 1 business day (if not, check your spam folder! )!